Can this motley crew of Xeno Exterminators wipe out the hoards of alien creatures aboard the infested space stations? Hurry up and blast away or your mission may end in a blizzard of ooze! 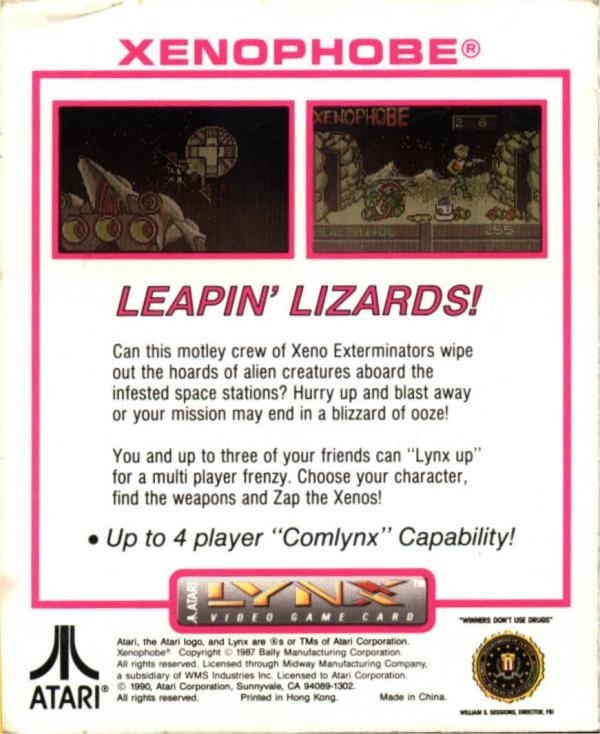 You and up to three of your friends can "lynx up" for a multi player frenzy. Choose your character, find the weapons and zap the xenos! Up to 4 player "comlynx" Capability!